Here is a recent review by Gabe and Dry Dry Creek.com - very good guys!! 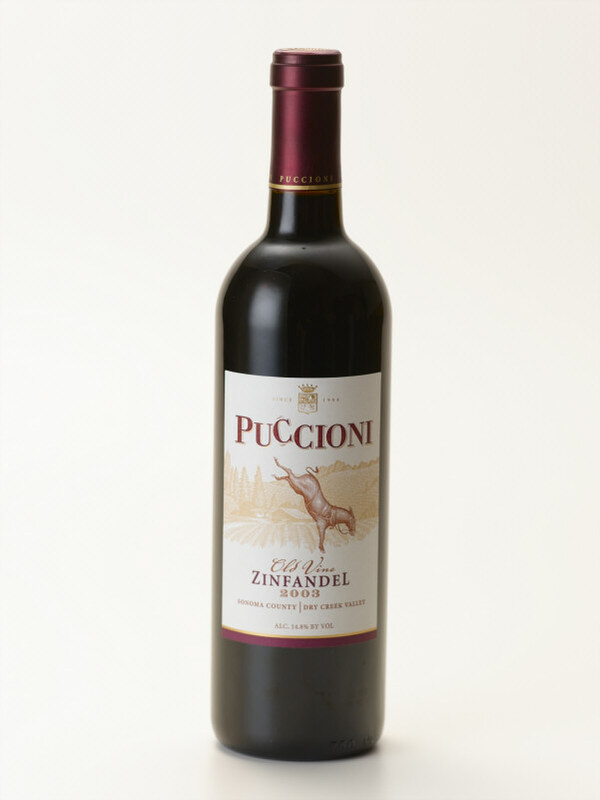 The 2006 Puccioni Vineyards Old Vine Zinfandel is sourced from two vineyards. One site is the Puccioni Vineyard which features 100 year old vines planted by Winemaker Glenn Proctor’s Great Grandfather, over 100 years ago. The other site is the Buchignani Vineyard planted about 50 years ago by their cousins. 260 cases of the 2006 Zinfandel were produced. The suggested retail price is $28. The nose of this 2006 Old Vine Zinfandel is loaded with a quartet of aromatics. Cedar, cloves, allspice and vibrant berry jam notes explode from the glass upon pouring. Throughout the palate blackberry pie characteristics are prominent and mouth-filling, joined by earth, bramble and black cherry reference points. Dusty Baker’s chocolate and an absolute avalanche of black pepper emerge on a long, layered and slightly lusty finish that beckons you back to the glass for another sip. Good acidity and firm but yielding tannins frame this well structured Zinfandel. Several things stood out to me about the Puccioni Old Vine Zinfandel. It’s accessible from the word go; but decanting and giving it some air really allows its charms to blossom and flavors to explode on your palate. Secondly, certain things on a wine label hold special meaning. For me, when I read Old Vine Zinfandel and Dry Creek Valley on the same label I tend to get excited. Having never had any wine from Puccioni Vineyards, before now, I was curious if it would live up to my label expectations. I’m happy to report that this wine is a textbook example of Old Vine Dry Creek Zin. Sometimes people will ask what Old Vine means, I wish I had a bottle of Puccioni to pour for each of them; it would be a lesson in a glass. Finally, while this wine is drinking quite well right now, I wouldn’t be shy about laying it down for 5 years; it has the structure to age.